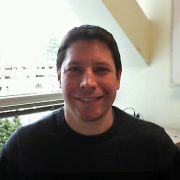 I am a researcher and developer with the MSR-T Security and Cryptography team at Microsoft Research, in Redmond. I completed my Ph.D. in Electrical and Computer Engineering at the University of Waterloo in 2011, after which I briefly occupied a post-doc position in the Department of Combinatorics and Optimization (C&O) of the same university. During my time at Waterloo, I was a member of the Centre for Applied Cryptographic Research (CACR) and the Laboratory for Side-Channel Security of Embedded Systems. My research interests mainly involve elliptic curve and pairing-based cryptography, post-quantum cryptography, efficient algorithmic design, high-performance implementation of cryptographic primitives, and side-channel analysis attacks and countermeasures. June/2016 Version 2.0 of FourQlib has been released. See project webpage. April/2016 LatticeCrypto, a high-performance and portable software library that implements lattice-based cryptographic algorithms, is released (version 1.0). See project webpage. April/2016 SIDH, a fast and portable library supporting post-quantum secure supersingular isogeny Diffie-Hellman key exchange, is released (version 1.0). See project webpage. September/2015 FourQlib, a secure and efficient library supporting FourQ, is released (version 1.0). See project webpage. June/2015 FourQ, a new high-security high-performance elliptic curve for the 128-bit sec level, is introduced. See paper and slides at the NIST Workshop on Elliptic Curve Cryptography Standards 2015. June/2015 Version 2.0 of MSR ECCLib has been released. See project webpage. January/2015 Ted37919, a new high-performance high-security curve for the 192-bit sec level, is introduced at RWC 2015. See the slides. July/2014 Version 1.1 of MSR ECCLib has been released. See project webpage. June/2014 MSR ECCLib, an efficient, portable and secure elliptic curve cryptography library that supports the NUMS curves, is released. See project webpage. June/2014 A set of efficient, high-security elliptic curves, called NUMS (Nothing Up My Sleeve) curves, is formally announced. For curve specifications and parameters, see this document. Mar/2013 New speed record for computing constant-time elliptic curve point multiplication on x86-64 and ARM processors. See paper. Aug/2012 New speed record for computing non-constant-time and constant-time elliptic curve point multiplication on x86-64 processors. See paper ([Slides] at Asiacrypt 2012). We also held the previous records reported here (06/2011, published at Designs, Codes and Cryptography) and here (08/2010, CHES 2010 [Slides]). July/2012 New speed record for computing pairings on ARM processors. See paper. Sep/2011 Invited speaker at the 15th Workshop on Elliptic Curve Cryptography (ECC 2011), Sep 19-21 in Nancy, France [Slides]. Apr/2011 My Ph.D. thesis titled “High-Speed Elliptic Curve and Pairing-Based Cryptography” is online! Oct/2010 New speed record for computing pairings on x86-64 processors. See paper. Invited lecture at the S3 – Summer School (SAC 2016): “Software Implementation of Public-Key Cryptography”, St. John’s, Canada, August 2016. Slides from my talk at SAC 2016: “FourQNEON: faster elliptic curve scalar multiplications on ARM processors”, St. John’s, Canada, August 2016. Slides from my invited talk at the University of Luxembourg: “FourQ: pushing the limits of curve-based cryptography”, Luxembourg, November 2015. Slides from my invited talk at COSIC – KU Leuven: “FourQ and FourQlib: faster curve-based scalar multiplications”, Leuven, Belgium, November 2015. Slides from my talk at the NIST Workshop on Elliptic Curve Cryptography Standards, “An Analysis of High-Performance Primes at High-Security Levels”, Gaithersburg, MD, June 2015. Slides from my talk at the Real World Cryptography Workshop 2015, “Post-Snowden Elliptic Curve Cryptography”, London, UK, January 2015. Slides from my invited talk at the University of Washington (Tacoma): “NUMS Elliptic Curves and their Implementation”, Tacoma, WA, November 2014. Slides from my presentation for the IETF Crypto Forum Research Group (CFRG), “Selecting Elliptic Curves for Cryptography”, interim teleconference meeting, April 2014. Slides from my talk at CT-RSA 2014: “Efficient and Secure Methods for GLV-Based Scalar Multiplication and their Implementation on GLV-GLS Curves”, San Francisco, USA, February 2014. Slides from my talk at ASIACRYPT2012: “Four-Dimensional Gallant-Lambert-Vanstone Scalar Multiplication”, Beijing, China, December 2012. Slides from my invited talk at the Peking University: “Highly-Efficient and Secure Elliptic Curve Scalar Multiplication using the 4-GLV Method”, Beijing, China, December 2012. Slides from my invited talk at the 15th Workshop on Elliptic Curve Cryptography (ECC2011): “Elliptic Curve Cryptography at High Speeds”, Nancy, France, September 2011. Slides from my talk at EUROCRYPT2011: “Faster Explicit Formulas for Computing Pairings over Ordinary Curves”, Tallinn, Estonia, May 2011. Slides from my talk at CHES2010: “Efficient Techniques for High-Speed Elliptic Curve Cryptography”, University of California, Sta. Barbara, California, USA, August 2010. Slides from my talk at the Centre for Applied Cryptographic Research (CACR): “Record-Breaking Implementations of Elliptic Curve Scalar Multiplication on x86-64 Processors”, University of Waterloo, Waterloo, Canada, July 2010. Slides from my invited talk at the MITACS Workshop on Network Security and Cryptography 2010: “High-Speed Elliptic Curve Cryptography: New Records in Software”, Toronto, Canada, June 2010. Craig Costello, Patrick Longa, and Michael Naehrig, “A brief discussion on selecting new elliptic curves“, no. MSR-TR-2015-46, 8 June 2015. Joppe Bos, Craig Costello, Patrick Longa, and Michael Naehrig, “Specification of Curve Selection and Supported Curve Parameters in MSR ECCLib“, no. MSR-TR-2015-49, June 2015. P. Longa, “High-Speed Elliptic Curve and Pairing-Based Cryptography”, Ph.D. Thesis, University of Waterloo, April 2011. The full text can be accessed in [Ph.D. Thesis]. P. Longa, “Accelerating the Scalar Multiplication on Elliptic Curve Cryptosystems over Prime Fields”. Master’s Thesis, University of Ottawa, June 2007. The full text can be accessed in [Master’s Thesis]. 19th Information Security Conference (ISC 2016). 3rd International Conference on Cryptology and Information Security in Latin America (LATINCRYPT 2014). XVIII IEEE International Conference of Electrical, Electronics and Systems Engineering (INTERCON 2011). I reviewed papers for the following journals: Journal of Cryptology, IEEE Transactions on Computers, IEEE Transactions on Very Large Scale Integration Systems (VLSI), Journal of Cryptographic Engineering (JCEN), IET Circuits, Devices & Systems, International Journal of Computer Mathematics, Integration – The VLSI Journal, International Journal of Electronics. I reviewed papers for the following conferences and workshops: ACNS 2016, PKC 2015, LATINCRYPT 2015, ACISP 2015, LightSec 2015, SPACE 2015, PST 2015, ASIACRYPT 2014, PKC 2013, PKC 2011, CHES 2010, PKC 2010, CCECE 2009. Angshuman Karmakar (Ph.D. student at KULeuven, Belgium), Summer 2016. Zhe Liu (former Ph.D. student at University of Luxembourg, Luxembourg; currently postdoc at University of Waterloo, Canada), Summer 2015. Michael Wesolowski (former master Student at University of Waterloo, Canada; currently at Deloitte Canada), Summer 2014. Armando Faz-Hernandez (former master student at CINVESTAV-IPN, Mexico; currently Ph.D. student at University of Campinas, Brazil), Summer 2012.